You are cordially invited to the Royal Birthday Party! The party table is set, the cake is decorated, and the balloons are up. It's time to open gifts and find out what's inside! 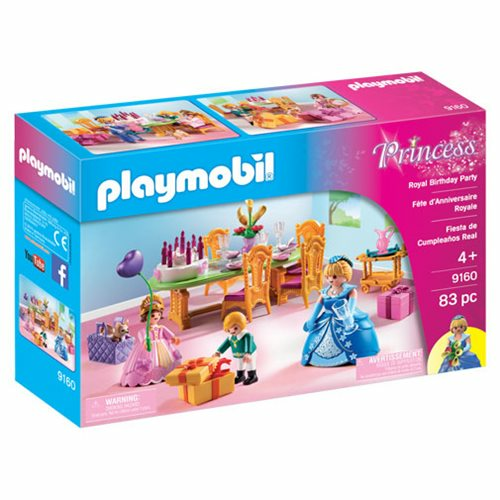 Set includes one adult figure with interchangeable skirt, two child figures, birthday cake with candles, gifts, balloons, dog, crown, and many other accessories. Recommended for ages four and up. Warning. Choking Hazard. Small parts. Not for children under 3 years.